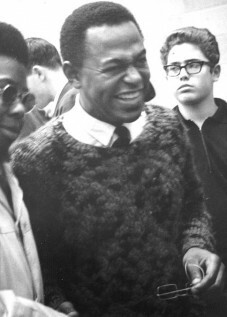 He joined the Detroit Contemporary 5, led by trumpeter Charles Moore, in the mid-60’s. 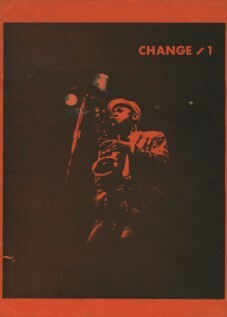 Its first edition also included drummer Danny Spencer, bassist John Dana and saxophonist Larry Nozero. 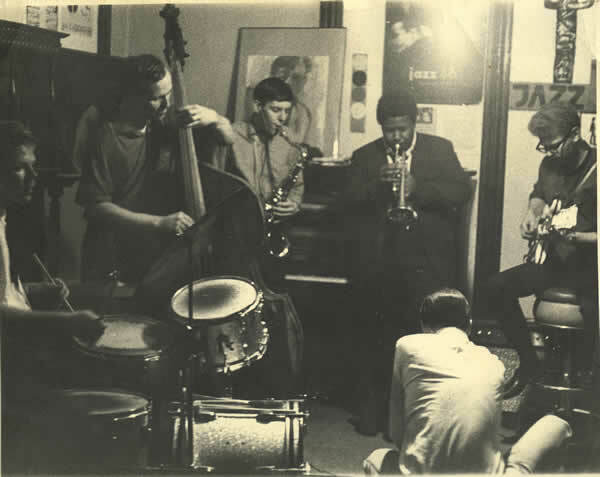 The DC5 was the house band of the Detroit Artists Workshop Society, an arts collective spearheaded by legendary poet and activist John Sinclair. In the 70’s, Ron played with some of the later expanded editions of the Contemporary Jazz Quartet, led by Charles Moore and pianist Kenny Cox, a band dedicated to exploring post-bop and avant-garde musical paths. He participated in the artistic self-determination efforts of the 70’s with the Strata complex of organizations, which produced concerts and records including CJQ’s Locations and Lyman Woodard’s Saturday Night Special, on which Ron was featured. 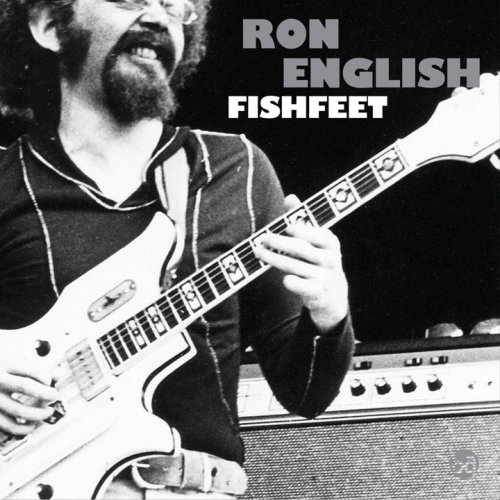 Fishfeet by Ron English, a Strata LP recorded but never released since the label dissolved. From the 70’s into the 90’s, Ron toured and recorded with Michigan jazz artists Lyman Woodard, Phil Ranelin, Wendell Harrison, Kenny Cox, the Jimmy Wilkins Orchestra, the Austin-Moro Big Band, and Eddie Russ, with whom he toured Europe. He also toured as a backing musician for the Four Tops, Martha Reeves & the Vandellas, and the Supremes’ Mary Wilson, and recorded with Gladys Knight and the Pips. He made much of his living for a number of years in the pit orchestras for the Fisher Theater and others, backing Broadway musicals and pop acts. Beginning in the late 70’s, Ron led his own jazz groups in the greater Detroit area, starting when his quartet played every Thursday night at Cobb’s Corner. 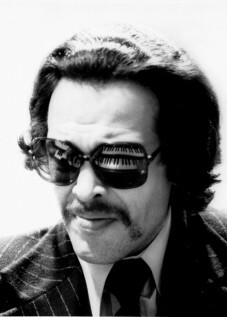 Ron’s groups opened concerts for Freddie Hubbard, McCoy Tyner and the Jazz Crusaders, among others, and appeared frequently in Detroit’s Labor Day Jazz Festival at Hart Plaza. His 1988 LP From Now to Then was drawn from live concerts at the Detroit Institute of Arts. In the 80s, Ron reunited with bassist John Dana, who had left Detroit in 1971 for New York and worked with Art Blakey, Blood Ulmer, Kenny Dorham and Rashied Ali. Back in Detroit, John played with Ron in a number of contexts, often as a duo. Both underwent a life changing religious conversion and began attending Rosedale Park Baptist Church, where they applied their musical skills in worship. 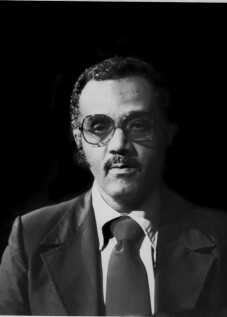 Drummer Gerald Cleaver was at that time a member of the same church, and the three began playing together as the Psalm 150 Ensemble, occasionally augmented with guest musicians. From 1992 to 2000, Ron was Minister of Music at Rosedale, and he continues on staff. In addition to his Psalm 150 Ensemble work, Ron plays jazz in restaurants, clubs and concerts. Ron also is a member of Vincent York’s “Jazzistry,” a live jazz history concert presentation for school assemblies and community groups since 1995, as well as M.L. Liebler’s Magic Poetry Band since 2005. Ron English currently teaches guitar, jazz theory and ensemble classes in the Continuing Education program at Marygrove College. He previously taught in Jazz Studies programs at Oakland University and Michigan State University.